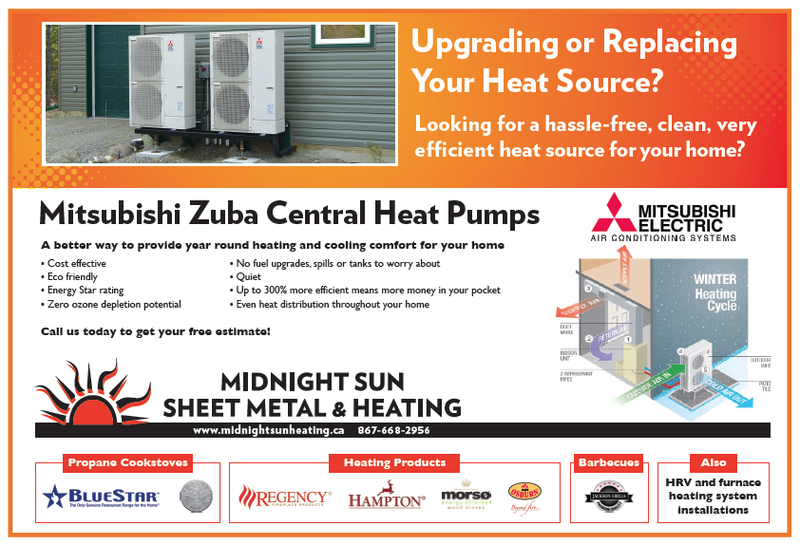 Midnight Sun Sheet Metal and Heating contractors serve residential and commercial customers with quality installation and repair of heating, ventilation and filtration systems in the Whitehorse area. As a complete sheet metal fabrication facility, we also design and install custom flashing, duct work, firewalls, eavestroughs and much more to ensure your full comfort and safety. For all your home heating and sheet metal installations, parts and repairs, count on Midnight Sun Sheet Metal and Heating. Call today for a free estimate!